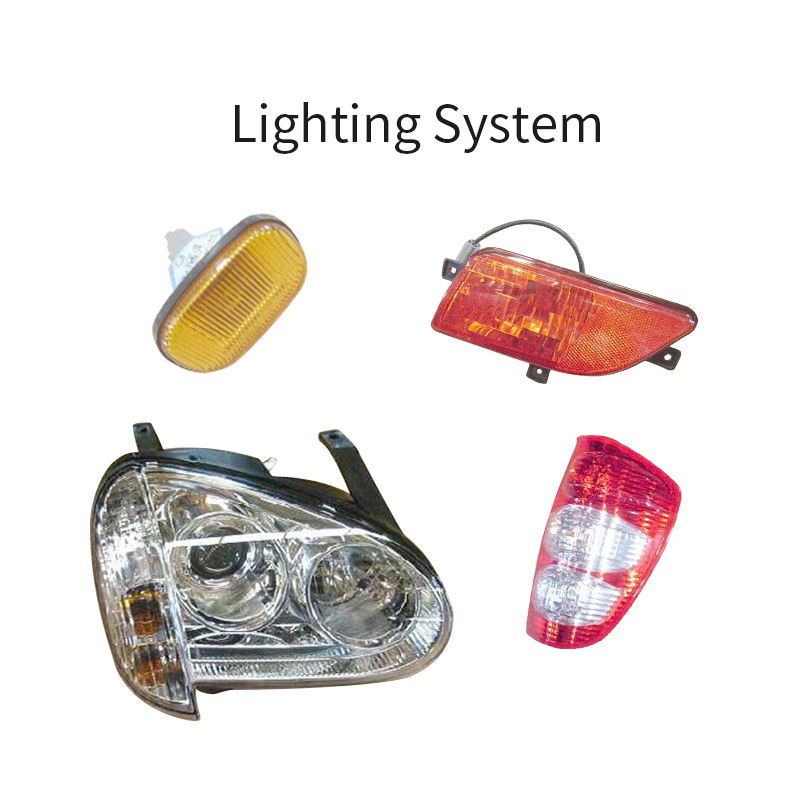 Product categories of Lighting System, we are specialized manufacturers from China, Lighting System, Headlight Assembly suppliers/factory, wholesale high-quality products of Fog Light Lamp R & D and manufacturing, we have the perfect after-sales service and technical support. Look forward to your cooperation! The car Lighting System is one of the necessary system of the automobile safe driving. Lighting system is mainly composed of lamps, power supply and control circuit (including control switch) three parts. Lamps mainly include "external lighting, internal lighting, external signal lamps, internal lights and other auto parts." Lighting auto parts according to functional function division, there are two main categories: "Car lights and car signal lights." Car lighting according to the location and function of its installation include: "Headlight auto parts, fog lamp, license plate lamp, instrument lamp, ceiling lamp, work lights." The automobile light signal also includes: "Turn signal light, danger alarm lamp, wide lamp, tail light, brake lamp, reversing lamp". The function of the lighting system is to provide illumination to motorists, passengers and traffic managers at night or with low visibility, and to alert and warn other vehicles and pedestrians.